Koshary & Fuul: Dining Across Egypt Signature Tour – coming soon! Ladies of Leisure Signature Tour – coming soon! Waters of Egypt Signature Tour – coming soon! 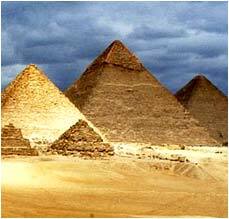 Welcome to Treasures of Egypt Tours! TOET, as we like to call ourselves, is a small company run by people who love to travel and who adore Egypt. Our goal is to to give you the answers and details you need to make informed decisions about your time, your travel desires, and your finances so you can have an exceptional and exciting Egyptian vacation. Why choose Treasures of Egypt Tours? Take a look at our most popular Signature Tours. If you don’t see exactly what you want, design your own vacation! Get information about pricing and terms. Check us out on Twitter or Facebook, and be sure to read the TOET blog!